As a parent, how do you approach your child's teacher about your child's needs in the classroom? What strategies will encourage cooperation and growth in a teacher's ability to reach all backgrounds and abilities? Heart of the Matter Seminars, a Children's Hope International partner in parent education, released their newest white paper, a timely read for the adoptive and foster parent community - “Talking with Teachers”. 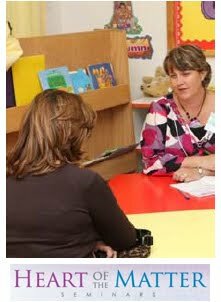 This paper offers tips and professional advice to help parents work with and listen to teachers to provide support in enriching children's lives through learning.